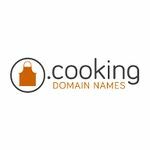 .cooking is a proposed TLD in ICANN's New gTLD Program. MMX, also known as Minds + Machines, was the only applicant for .cooking, which is one of 68 applications that the company has filed on its own behalf. The proposed application succeeded and was delegated to the Root Zone on 31 March 2014. .cooking is a new generic top-level domain targeted to chefs, cooks, restaurants, culinary organizations, food-focused e-commerce platforms, kitchen appliance brands, and other food-related industries. The potential applications of a .cooking address are many. Restaurants, culinary organizations, food-focused e-commerce platforms, kitchen appliance brands: virtually any company that works in the trillion-dollar global food industry can make use of a .cooking domain to enhance its brand. .cooking was delegated to the Root Zone of the DNS on 31 March 2014, completing the successful application for the string. "The goal of the .cooking gTLD is to give cooks of all experience levels the ability to share ideas, methods, tips, and best-practices and to provide a meaningful domain for those involved in the commercial aspects of cooking. Our recognition that registrants of a .cooking domain name will self-select because they have an interest in cooking, naturally reducing the number of potential registrants; and, because restrictive policies such as, for example, requiring membership in a specific organization or organizations, would exclude many legitimate registrants from obtaining a .cooking domain name. For example, and by way of illustration, if membership an organization were required for registration, businesses and charitable organizations that would find a .cooking top-level domain name an effective marketing tool would be excluded from registering a .cooking domain name as they might not be eligible to be members in an organization that accepted only natural persons for membership. With respect to protecting registrant privacy and confidential information, we will comply with all applicable ICANN rules, including Whois policies, and all applicable laws, rules and regulations of appropriate jurisdictions. Registrant privacy and use of confidential information are set forth in our Privacy & Whois Policy. Information concerning updates and changes to the Privacy & Whois Policy will be promptly and prominently displayed on the .cooking web site." On November 21, 2013 MMX received a Registry Agreement signed by ICANN for .cooking after passing the Initial Evaluation. This page was last edited on 28 November 2017, at 18:42.